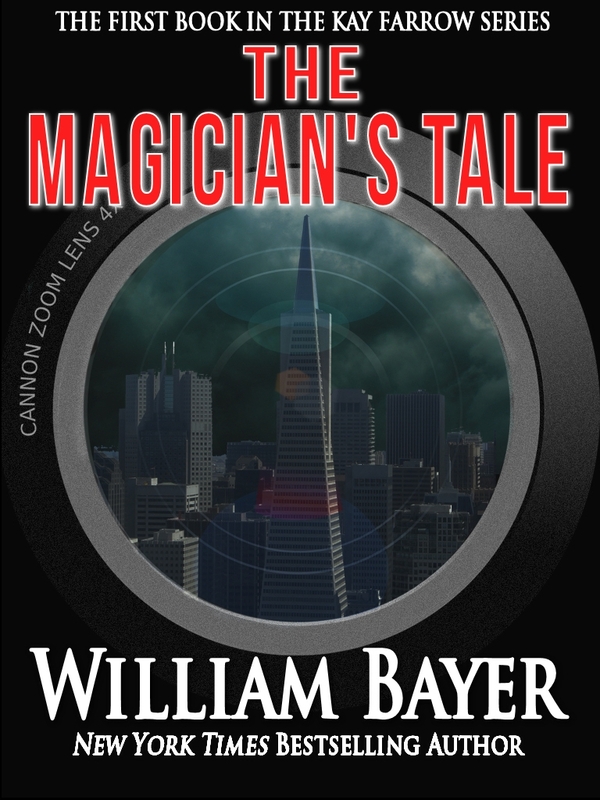 William Bayer’s THE MAGICIAN’S TALE is the first of two novels featuring and narrated by Kay Farrow, a young colorblind art photographer resident in San Francisco whose direct non-nonsense approach to people and art has made her one of the most popular of all Bayer’s lead characters. The colors of Kay Farrow’s landscape are black, white, and shades of gray. An achromat suffering from total color blindness, Kay possesses a vision that informs her world and sharpens her skills as a talented photographer. When Kay’s friend, Tim Lovsey, a handsome male prostitute whom she has featured in her coverage of San Francisco’s sexually charged netherworld, is brutally slain, Kay makes it her mission to find his killer when she realizes the police prefer to quietly let the case drop. Kay’s search for answers takes her back in time to an unsolved serial murder case with disturbing parallels to Tim’s killing — a case whose botched investigation led to her father’s ouster from the police force. Searching for the truth, she moves from the back alleys, exotic clubs, and dim corners of San Francisco’s underground, where – for the right price — any sexual fantasy can be realized, to the elite enclaves of the city’s most privileged class. Kay knows Tim’s murderer resides somewhere within these disparate worlds, at an intersection as gray and murky as the shadows that define her world. Putting her life and all she holds dear at risk, Kay must sort through the riddles of the past before she can discover the shocking truth of Tim’s death. Along the way, she finds the chiaroscuro of culpability painted in shades of lust, jealousy, greed, and desire.